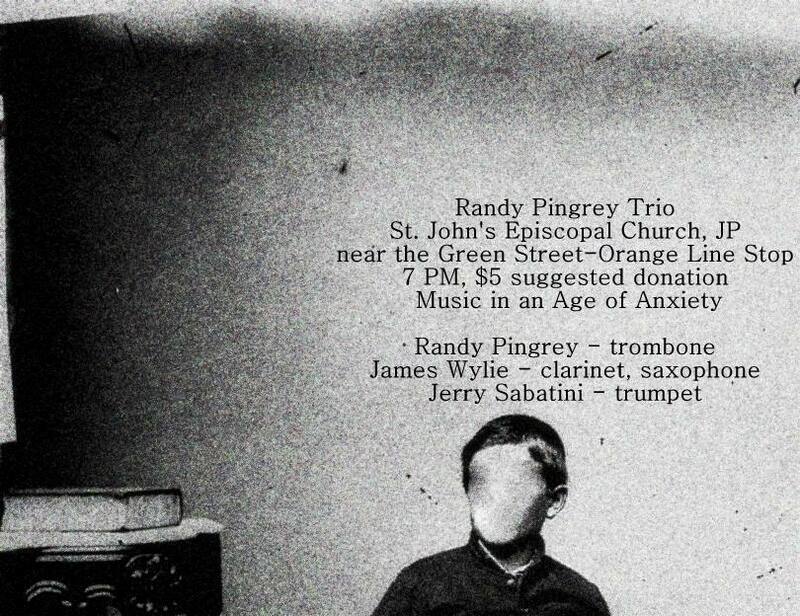 Randy Pingrey – trombone, piano, tape recorder, etc. James Wylie – alto sax, tape recorder, etc. Jerry Sabatini – trumpet, tape recorder, etc. Feel free to download or stream all of these files. Be aware: Subsequent Variations is quite a large file. On October 1st, the Randy Pingrey Trio played this hour-long piece. My goal was to create my first evening-length work, and in the spirit of past trio performances, I wanted the piece to reflect the vibe of the venue and of the performance opportunity. We played in a giant, old church at night, with just enough light to see the written music. The piece consists of oblique variations on a hymn, which is performed every year in Cambridge, MA during the Feast of Cosmos and Damien. I originally learned the melody when I was playing at the feast from Salvi Pugliese, the musical director and lead trumpeter with the Roma Band – an organization which I play with a lot during the summer months. Special thanks goes to Peter Terry for having us play, to James and Jerry for their excellent performances, and for all the people that came to check it out. October 1st is quickly approaching! I’m hard at work finishing this damn piece – right now I’m a little stuck, I have about 2/3rds of it written out but the last third is proving to be quite difficult to come up with! Please come on October 1st to see what happens! Hopefully I’ll be able to post some clips late tomorrow night from our rehearsal. Are you curious what it will sound like? Me too! Hopefully I’ll be able to post some rehearsal recordings sometime early next week. The first rehearsal is late next week – hopefully it will get recorded so I can put a few tracks up here. Please come to the show!